Facilitate Cross-sector Juvenile Crime Prevention (SSP) – i.e. the formation of a cross sector crime prevention network (School+Sport+Police) in local communities in accordance with Danish patterns. Since 1998 the Open Fun Football School program has reached out to over 1 million participants in 22 countries around the world and over 75,000 coaches and leaders have volunteered our program. We are doing an on-line survey regarding girls football in your OFFS-country. If you are leader or coach for a girls team, I will appreciate if you will answer the questions in the link below. It takes 7 minutes. We are doing an on-line survey regarding girls and grassroots football in your country. If you are trainer or leader in a grassroots football club/section your attention in this matter is highly appreciated. It only takes 7 minustes. c) introduce cross sectorial crime prevention (OFFS+SSP). 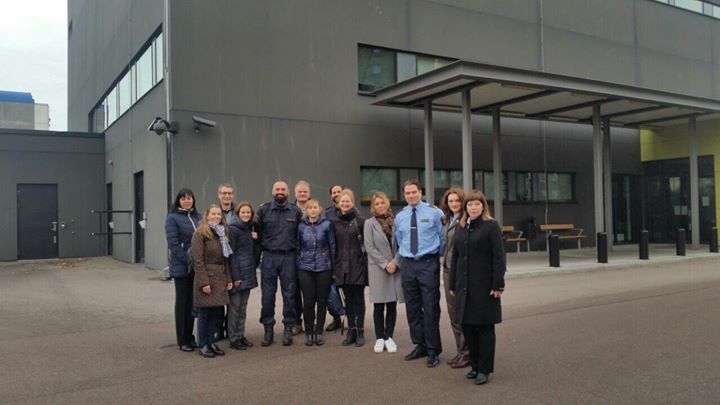 In this regard CCPA together with a delegation from OFFS Moldova and the community police payed a very interesting visit to the community police in Rosengaarden in Malmoe where we amongst others heard about community policing in Sweden and so-called "citizen promises". 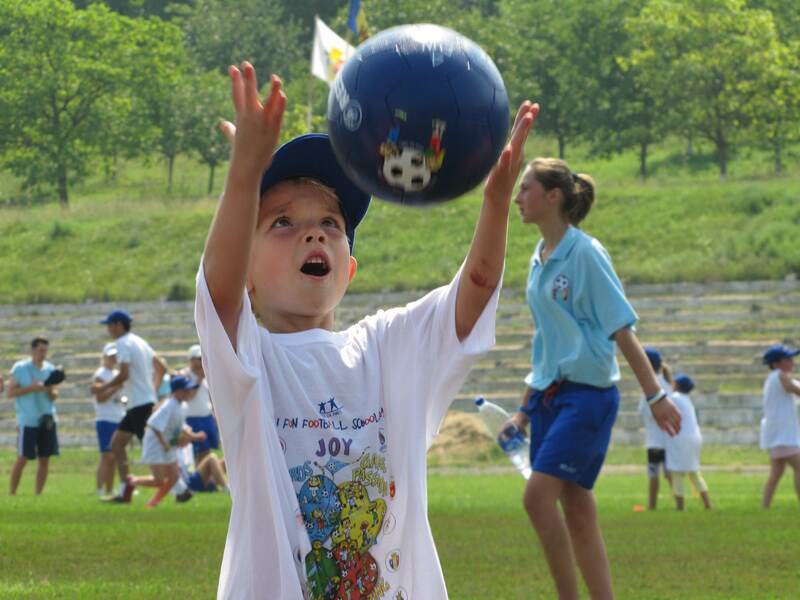 This year 2016 Open Fun Football Schools implemented by the Football Federation of Ukraine gained new strength. FFU Social Projects “Open Fun Football Schools” and “Play Away, Play Everywhere” significantly expanded network of grassroots volunteers and in a single season covered 56 districts in each region of Ukraine. Within the celebration of the " InternationalTeachers Day"- 05 Oct, Open Fun Football Schools Macedonia in the sports hall in Avtokomanda organized football tournament- sport event for 60 students from schools with special needs from 4 educational institutions where students attend classes. 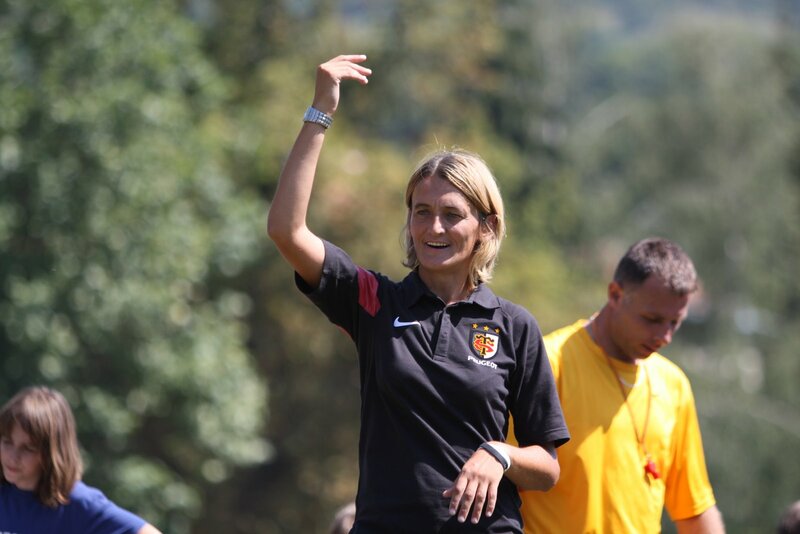 Brilliant article regarding the open Fun Football schools and our impact on the girls football development in the Balkans. The Asylum Football league for Asylum Seekers in Denmark finally kicked off on September 5th and 6th with four legendary games between the best players Zealand had to offer amongst the refugee camps in the small Danish island; which had amongst others two Danish lower-league players and retired footballers from the Iranian and Iraqi football system. The last week of August begins, the beginning of a school year in Bosnia, but OFFS activities do not stop. After the completion of education and participation of leaders and coaches in Seminar organized by office Sarajevo in Tesli?, and in two regional seminars in Kosovo and Srbija, schools have started in Bosnia and Herzegovina . National Seminar in Teslic is organized according to agreed seminar plan. Next to the successful theoretical and practical Seminar segments, we also implemented workshops that brought new ideas and initiatives. The Iraqi team consisting of a youth and delegation leader each with three participants went to Lyon, France and participated in the Street Football World festival between 28th of June till July 7th 2016. After streetfootballworld Festival16 the streetfootballworld team received this letter from Hassan Luaibi. We wanted to share with all of you the strong message Hassan was sending - strong, inspiring, and word-for-word from Hassan's heart. My name is Hassan Luaibi; I represented Team Iraq through the Iraqi Youth Network and our Danish partners, Cross Cultures Project. My reflection of this festival is more of a ”thank you letter” than a reflection. From 2016, the Out of Area Foundation - silent force behind the famous Kid's Festival, launched a new, travelling festival for children of Bosnia and Herzegovina. CCPA OFFS Bosnia recognized the value of the Festival - open, free and interesting for children of all ages. Therefore we joined the caravan and travelled to four towns of Bosnia and Herzegovina, where we played Fun Football! Our station - the Fun Football pitch was one of the most visited stations at the Festival in all towns.Festival was visited by several thousads of children. In November 2015 Cross Cultures was invited to meet community officials of Novi Grad Sarajevo (the largest municipality in Bosnia Herzegovina). Novi Grad Sarajevo is in the process of turning a former military compound into a public recreational sports park that can accommodate the native population and host different kinds of educational and cultural activities. So far only part of the former military barracks have been renovated and today host a centre for Martial Arts, a Centre for Old Crafts, children's play rooms, restaurants etc. Tunisia Sports For All Federation held two activities in Monastir, Tunisia. The first was a coaching seminar for 180 coaches and a "March for Tunisia" with 1000 participants. Afterwards a Open Fun Football School was opened in Monastir, one of ten in recent time. The coaching seminar was conducted in cooperation with the Tunisian Higher Education of Sports, where 180 coaches went through a educational program designed by the Danish NGO, CCPA.